Home / Books / Art / ALLOWAY, Laurence. American Pop Art. (New York): Macmillan Publishing in association with Whitney Museum of American Art, 1974. First edition. small 4to. Scarcer hardcover issue. The volume examines the pop art movement and the works exhibited at the Whitney Museum of American Art at the first major retrospective exhibition of pop art. 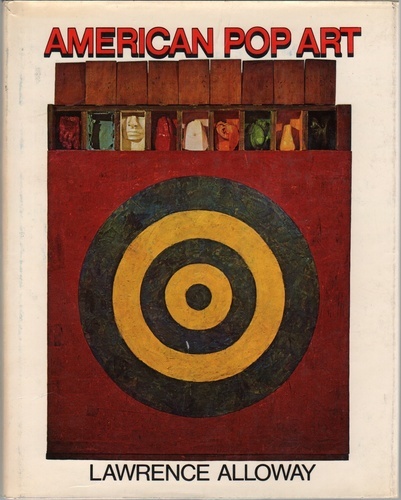 The volume includes sections on Johns, Rosenquist, Warhol, Lichtenstein, Oldenburg and Raschenburg as well as illustrating works by Jim Dine, Robert Indiana, Mel Ramos, Ed Ruscha and others. A fine copy in a near fine dust jacket with some fading to the colour of the spine lettering.